There’s, of course, double meaning in C+C’s tagline: Do Good Work. The 14-year-old has firm built its reputation on social causes and public sector work. In 2018, the firm crossed the $10m threshold growing 13% to $11.1m in revenue. Because the firm’s multicultural practice delivered 15% of C+C’s revenue in 2018 (up from 10% in 2017), the practice is now integrated upfront for all clients, rather than being tucked away on the sidelines. “It’s just a part of the way we do business,” say founders Julie Colehour and Bryan Cohen. They also added a director of market intelligence last year to provide in-house research to clients, with the move already generating new revenue. As boutiques transition into more sizeable entities, growing pains are inevitable. For C+C that came from a few angles. For one, turnover ticked up to 14% — in part, because of tight job markets in Boston and Seattle, but also because the firm’s mantra has attracted some employees who would ultimately be better placed in the non-profit sector. To address some of these issues, C+C’s director of people and culture rolled out specific career pathways for staff at every level, while also amplifying the firm’s onboarding and work product and knowledge sharing, among other things. C+C lost its biggest client in its Boston office last year. But the loss was mitigated by new client pickups — including REI, Lyft, Nike, YMCA, Kwik Lok, Pacific Power, University of Washington, Port of Seattle, Energy Trust of Oregon, Vermont High Safety and WEconnect — in addition to growth from its existing portfolio; Alaska Airlines, Puget Sound Energy, Google, BECU, US Department of Energy, Washington Traffic Safety Commission and Slalom Consulting. InkHouse CEO Beth Monaghan has already established herself as one of the industry’s most tireless advocates for workplace equality. She has testified in front of both state and federal legislators advocating for paid leave, pay equity and other policies to foster workplace equality. This commitment to fairness is also reflected in an agency culture rooted in trust and freedom. Rather than relying on abstract concepts to encourage creativity, InkHouse builds this into its culture with perks like unlimited vacation, email banned outside of the hours of 7am and 7pm and weekly work-from-home days to focus on writing. In just 11 years, Monaghan has grown InkHouse from a three-person business to a thriving agency that, in 2018, made impressive additions to its client roster — Bain Capital, Citi Ventures, ERA Coalition, Harvard University, Organic Valley and Nutanix among them. In 2018, revenues were up 13% to $17.5m from $16.4m; over the life of the company, InkHouse has averaged 34.9% growth year-over-year. The firm has 114 people staffing offices in Boston, New York and San Francisco. Lippe Taylor has made the journey from digital follower to digital leader in what must be record time. Make no mistake, the onetime fashion and beauty specialist has been a leader in its category — expanded to include marketing to women across multiple sectors — for at least a couple of decades. But it is only over the past couple of years that the founder and chief executive has transformed the firm — with the assistance of president Paul Dyer, hired from the digitally-savvy and analytics-obsessed W2O — into something quite different, a distinctly 21st century agency with digital at the center and analytics driving every strategy. It’s in the latter space—which continues to confound many larger agencies — that Lippe Taylor is most clearly differentiated. Under the leadership of Naimul Huq (another W2O veteran), the firm has been developing proprietary algorithms, linguistics and semiotics tools that provide both qualitative and quantitative data and generates ideas using insights. Its Starling AI platform, for example, measures influence across seven metrics to go beyond reach and analyze impact and momentum. Its Hyapatia coding system, meanwhile, delivers to clients reports on key influencers, key topics and key messages. So for Walmart’s Jet.com, the firm was able to rank 20 million SKUs by their relevance to urban millennials and make recommendations about not only communications but product lines. Lippe Taylor was also able to streamline and coordinate social media for Intel across various business units; reinvigorate Herbalife’s YouTube and other video content; crafted digital and social strategy for J&J in the medical device space; and created online content for Nestle skin health and Botox. The firm picked up analytics-only work from Pfizer, as well as social media assignments from Intel and Herbalife. 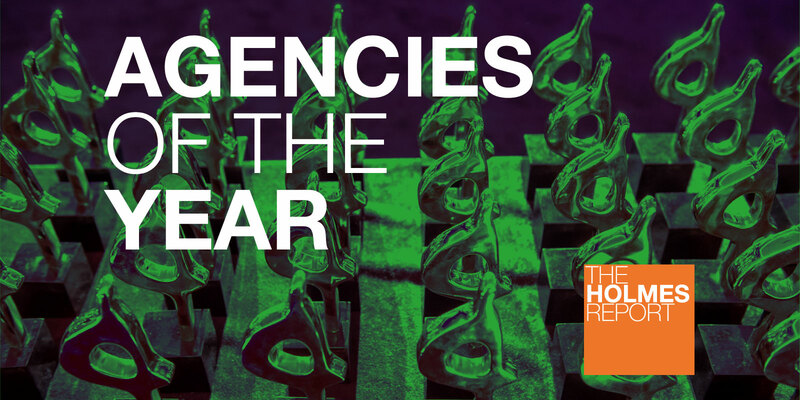 It was named Agency of the Year by Digiday. And yet Dyer is clear that the firm has only completed four steps of what he sees as a six-step digital transformation, with investments in expanded digital infrastructure still to come. RBB's focus on ‘breakout brands’ has always given the Miami firm a distinctive positioning that it has leveraged to strong effect, but its efforts over the past couple of years reveal an agency that has successfully implemented an integrated model that works for a roster of national and global brands. That plan has been underpinned by a series of acquisitions — including new experiential purchase Zicomm and digital firms Spiderboost and Out of the Blue Advertising — that helped the firm grow 18% to more than $14m. The firm’s new business performance provides ample proof of its integrated expansion, including such brands as CMR Surgical, Chopin Imports, MDVIP, Miami Jewish Health and Gulliver Schools. There is strength across travel and leisure, consumer and healthcare — supplemented by specialist skills in digital, advertising and reputation/crisis management — with an existing client roster that includes Bank of America, Cleveland Clinic Florida, DHL Express, Florida Power & Light Company, Embassy Suites, Homewood Suites by Hilton, Jackson Health System, Secrets Resorts & Spa/Dreams Resorts and VITAS Healthcare. The firm remains led CEO Christine Barney, supported by president Lisa Ross and EVPs Tina Elmowitz and Laura Guitar, the latter of whom stepped up last year to lead healthcare. The firm also expanded its leadership cabinet in early 2018, with nine VPs buying in to the firm to become equity partners. And while RBB has grown noticeably, its focus on workplace culture and diversity remains a competitive advantage, at an agency that is not only women-owned, but more diverse than most, and not shy about providing the statistics that underpin its case. Chicago’s Walker Sands had a banner 2018 in every sense of the word. Revenues rose a whopping 54% year-over-year, rising to $14.8m from $9.6m in 2017, thanks largely to the firm attracting bigger clients and expanded capabilities in executing (and selling) the kind of large-scale integrated programs companies want. Headcount surged to 114 from 78. Another hallmark: the agency opened an office in Seattle after already establishing a presence in San Francisco. Which is not to say growth is something new for Walker Sands. Founded in 2001, Walker Sands has seen double digit growth every year for the last six years – growing in total 405% since 2012. The tech-focused B2B in 2018 added impressive clients to its roster — and rolled out equally impressive campaigns that got results. After Miller Heiman Group tapped Walker Sands to help the legacy sales training company become a leading sales technology company, Walker Sands over 10 months updated Miller Heiman Group’s verbal and visual brand identity, launched a brand-new product, rebuilt their marketing automation stack and optimized their CRM and launched a new global website. Sprout Social, a leading provider of social media analytics, engagement and advocacy solutions for business, looked to Walker Sands to drive greater brand recognition with CMOs and position themselves as an innovative platform for enterprises. To do that, Walker Sands tackled the question of whether brands should take a public stand on divisive social and political issues that matter to their customers. The agency surveyed more than 1,000 US consumers to uncover how people really feel on the issue. The results were packaged into a report titled Brands Get Real: Championing Change in the Age of Social Media, which was leveraged across paid, earned and owned channels. The campaign drove 2,000+ new users to Sprout’s website, 4,500+ total site sessions, 150+ media placements and 4B+ impressions.